Supporters of H.57, the unrestricted abortion bill, say it only establishes in statute Vermont’s “status quo” of unrestricted abortion. A 2018 Gallup poll found that just 13 percent of Americans support abortion in the third trimester of pregnancy, at which point the fetus is able to live outside the womb with medical support. In the world of legal technicalities and constitutional law, this is sort of true. Headliners is indebted to Eileen Haupt of Jericho, a former House candidate, for her succinct analysis of the legal status of abortion in Vermont post-Roe and pre-H.57. Vermont has never enacted any restrictions that states are allowed to enact under Roe v. Wade. Women in Vermont have the right to an abortion for any reason, at any time up to birth. And since no Vermont law recognizes the “fertilized egg, embryo, or fetus,” as having independent rights, they already have none. And if a baby intended for abortion miraculously survives the abortion attempt, there is no law requiring that she be provided life-saving medical care. She can be left to die. All of these practices are legal with passive acceptance of the Vermont Legislature, which has never enacted restrictions. 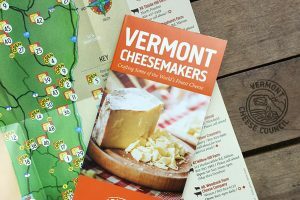 The most significant change in passing this legislation will not be what is made legal, the most significant change is that the Vermont Legislature will move from passive acceptance of these practices, to intentional enactment. “Passive acceptance” to “intentional enactment” is a very big deal, indeed. A law based on H.57 shouts to the world that although the people of Vermont could have said “yes” to banning experimentation and “yes” to parental notification; instead we (through our citizen Legislature) talked, studied, debated and finally decided “no” to all fetal protections or individual rights. 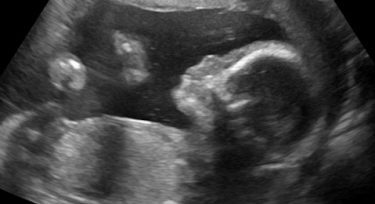 In the most inclusive law-making process available under Vermont law, we intentional enacted the stripping of a viable, healthy fetus of any protections to life or well-formed limb. For many Vermonters, that statement would be oppression and shame enough. But there is more: the chilling new reality that legislating unrestricted abortion restricts the freedom of Vermonters. If a school nurse is slow to refer a middle school girl to an abortion clinic because she suspects coercion, has he “interfered with the choice of a consenting individual”? How about a nurse or doctor employed at a state-run clinic or hospital, or at a hospital supported by state taxes and overseen by state government? Under the law could she say “no I won’t” and keep her job? The Jan. 27 written response by Legislative Council Attorney Brynn Hare to that question is unsatisfying: “H.57 does not impose any duty on a private practitioner to participate in any abortion.” Apparently, Dr. Smith in private practice can decline to participate. But how about Nurse Jones who works at a state hospital? Or for that matter, what would happen to the freedom of conscience of the health care provider, from the doctor and nurse to the lowly orderly assigned to clean up the operating theater after an elective abortion and prepare it for the next one on the schedule? At present the University Medical Center handbook reportedly offers a ‘conscience protection’ clause, but there’s a big loophole: a nurse can’t say no if there is no other qualified nurse available. Under H.57’s pressure to “not interfere” with the absolute right to abortion, that policy can only further restrict the free exercise of conscience. There are about 50,000 state and municipal employees in Vermont, not counting school district employees. Possible abuses of human rights and constitutionally-protected freedom under H.57 are endless. 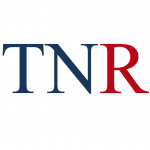 If the Legislature can’t lawfully limit abortions, the mere act of introducing a parental notification amendment could itself be a violation. Hare pooh-poohs the possibility. But until the law binding the hands of the Legislature is changed, it is still the law of the state. One can foresee an “injured party” with assistance from abortion activist lawyers seeking injunctive relief against proposed legislation based on the plain reading of the law. Town government would not be spared. Over a decade ago about 20 Vermont towns passed a Town Meeting referendum advising legislators to support parental notification. If H.57 becomes law, would placing such a referendum on a Town Meeting ballot expose a cash-strapped small town (and every town is cash-strapped) to an expensive lawsuit by activist lawyers? In most cases, even the credible threat of such action would be sufficient to stop any attempt at abortion reform. Free speech, local control, the right to petition — these venerable political institutions would be sacrificed or at least diminished. Or this: the next time an anti-legal abortion group wants to march or rally, could an unsympathetic “public entity” municipal government employee decline on the grounds that he can’t sanction an activity that would lead to abortion restriction? The problem with mandating unrestricted abortion in the Legislature is that it raises too many morally and legally unacceptable real-life scenarios. 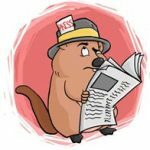 To avoid this dilemma the backers of H.57 could either amend the bill to fit both the Constitution and real life, or – perhaps even better – just let the bill die. 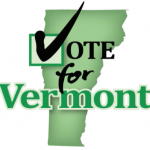 Guy Page is affiliated with the Vermont Energy Partnership; the Vermont Alliance for Ethical Healthcare; and Physicians, Families and Friends for a Better Vermont. I don’t believe a single Vermonter supports infanticide. This isn’t China. Remarks on this site are so offensive, ignorant and hateful. You GUYS need to look within at your own misogyny. Your comments suggest that you love to hate. Abortion is just your excuse to mouth off about your covert misogyny. Reasonable people believe in not forcing a women to carry a pregnancy she never wanted. Mistakes happen. Correct. There are certainly more than one single self absorbed, remorseless individuals advocating for the life obliterating process of abortion even to the point of exit from the vaginal canal. Your presumption is as misguided as it is erroneous. I have seen here nothing to indicate any hatred or prejudice toward the companion and helpmeet God created for lonesome Adam (If he only had known…). As for those so-called “women” who think so little of ending the lives of the little beings they have inconveniently created, pity is more than they deserve. Reasonable people respond to reason; they do not attempt defense of the undefendable. I just spent ten minutes responding to one. Misandry seems to be more at play here. Petomo: All I can say about your comment is sick ignorance. Double faced, forked tongue legislators. In newspapers prior to election times, letters to the editor from so called supporters of a person running for office all say about the same in letter format (as if written by the Dem party officials) glorifying a certain parson. Basically the bottom line always is that Jane or John is a very nice person, family oriented, raised nice kids, community supportive, a very caring person. Given that hardly any person that’s conservative doesn’t provide opposition, so nice Jane or John gets voted in. What a human facade. In the liberal papers, that’s all that Sheeple read. The Commons Paper from Brattleboro is famous for this, much like the VT Digger, no conservative letters allowed. Anyhow when Jane and John gets to Montpelier, all bets are off. They become the elite, know it all and vote for such legislation as this H57 is. Haven’t seen any community or family dedication with common sense. Most of these legislators moved to VT, look up their profiles, especially the ones in the link by Will Waizenegger. Boy oh boy is that a long list of mindless legislators, 88 sponsors, out of 150 members. When they are mindless, they collectively (or individually) have no conscious, are zombies. I want to see a list of every Vermont legislator who supports this bill and supports INFANTICIDE. approval …………… shameless and utterly disgusting !! No rule, No regulations, No licensing……..So what happens to the ” slaughtered ” babies ??? Well, if Vermont is only a back ally abortion clinic, would you rather have the women die or live? Although Vt has liberal abortion rights, what do you know of the numbers of times the most offensive laws have been utilized? Abortion is down across the country. But, what do you care about facts? How about forced male sterilization so women don’t need abortions? Like John Wayne Bobbitt, solve all problems, right? When someone can’t intelligently argue an issue they name call. When someone cannot intelligently argue for killing the unborn, they resort to the name calling ploy and disrespecting the intelligence of the opponent. Revel in your abortion mentality while thanking the Almighty for the opportunity and considering a change of heart. This bill, with no residency requirement and no licensing requirement for those providing abortions, could make Vermont the abortion capital of the world. Not a distinction any Vermonter should be looking forward to. Oh, but they will. Anybody as sick and twisted as these people would be proud to have Vermont the Baby Killing Capitol of the World. A real money maker, too. Think of all those ‘spare parts’ these ghouls can sell. A cottage industry!!! And with the Vermont Seal of Quality….hey, it can’t fail. It’s Vermont!!! Herrick: Hyerbole. Fear is such an immoral and evil tool. PLANNED PARENTHOOD = MURDER INC.
Aren’t you glad you were never on their Hit List? ?